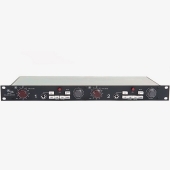 • 80dB Class A Microphone preamplifier, HI-LO selectable minimum input impedance, balanced and floating. High gain positions show a higher impedance, ideal for old ribbon mics. • 10dB Class A Line Amplifier, Bridging input impedance, balanced and floating. • Class A, single ended, 2N3055 driven high headroom output stage. • High Frequency: +/-16dB shelving at 12 kHz, Baxandall type. • Low Frequency: +/-16dB with selectable frequency shelving of 35Hz, 60Hz, 110Hz & 220Hz ,Baxandall type. • Mid Frequency: +/-18dB peaking, fixed 'Q' , selectable center frequencies of 0.36kHz, 0.7kHz, 1.6kHz, 3.2kHz, 4.8kHz , and 7.2kHz , dual inductor based. • High Pass Filter: 18dB per octave slope, switchable between 50Hz, 80Hz , 160 Hz & 300Hz, inductor based. • EQ Button: Switches the equalizer on or off. • Phase Button: Flips phase 180º. The 1084 module is considered by many to be a 1073 on steroids. It can be described as a 1073 with some added flexibility, without losing any of its many famous sounds. The differences with the 1073 module are as follow: - 3 selectable hi shelf frequencies, instead of the 12Khz fixed one in the 1073. - 2 selectable Qs in the mid band, being the hi Q the same 1073 one. - 5 frequency selectable passive LC Low Pass Filter, which is not available in the 1073. The Low Pass Filter is especially useful for sweetening overhead tracks, harsh or brittle hi hats and cymbals. It also helps remove unwanted hiss and noise on bass heavy tracks, where a flat high frequency response is not needed. In combination with the High Pass Filter, Special Effects can be archived, like telephone, radio and TV sounds that never sound natural using plug ins! 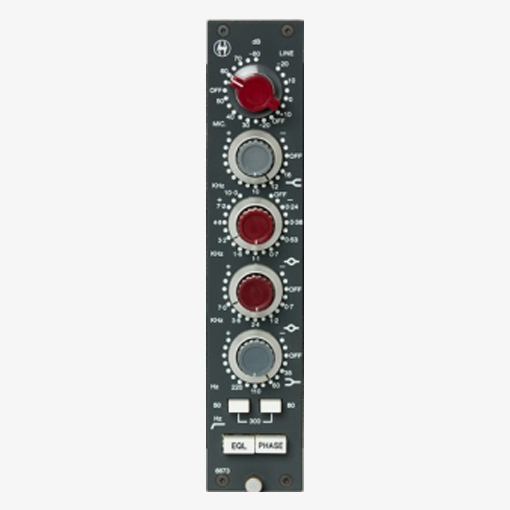 The Lo Q option in the mid band makes heavy boosting exceptionally natural and helps tracks sound unprocessed. Acoustic and classical recordings will highly benefit from this feature. 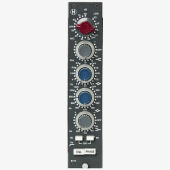 Whether you´re in doubt which module to choose, 1073 or 1084, and money is not the problem, the 1084 should be the way to go, as all the features and sounds of the 1073 are intact. 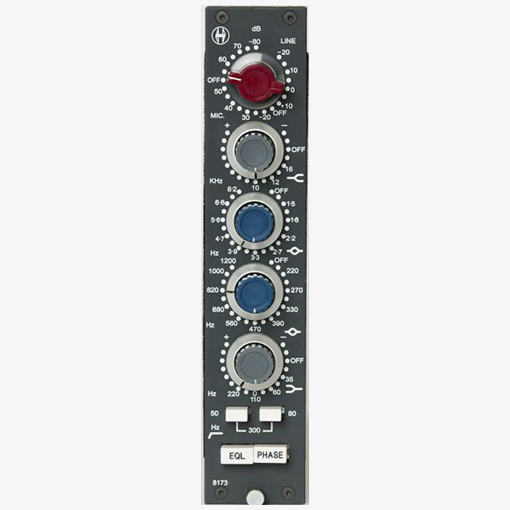 Whether you can live without the sweet Low Pass Filter and the 12Khz high shelving frequency limitation is enough for you, going the 1073 way might be enough. 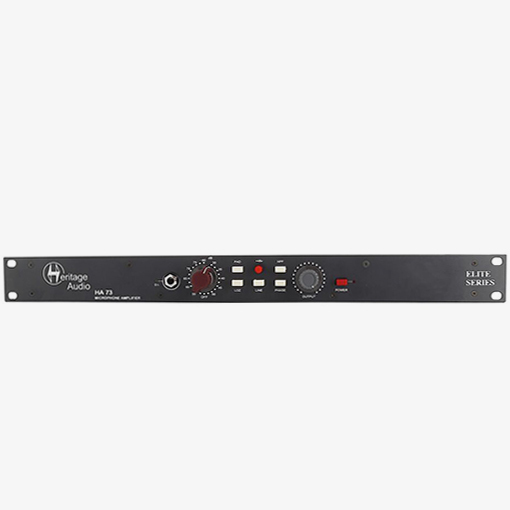 • 80dB Class A Microphone preamplifier, HI-LO selectable minimum input impedance, balanced and floating. 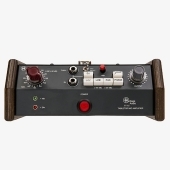 High gain positions show a higher impedance, ideal for old ribbon mics. • 10dB Class A Line Amplifier, Bridging input impedance, balanced and floating. • Class A, single ended, 2N3055 driven high headroom output stage. • High Frequency: +/-16dB selectable frequency shelving at 10, 12 or 16 kHz, Baxandall type. • Low Frequency: +/-16dB with selectable frequency shelving of 35Hz, 60Hz, 110Hz & 220Hz ,Baxandall type. • 1073 Mid Frequency: +/-18dB peaking, fixed 'Q' , selectable center frequencies of 0.24 Khz, 0.36kHz, 0.53Khz, 0.7kHz, 1.1Khz, 1.6kHz, 3.2kHz, 4.8kHz , 7.2kHz and 10Khz , dual inductor based. • 1066 Constant Q Mid Frequency: +/-18dB peaking, fixed ´Q´, selectable center frequencies of 0.7 Khz, 1.2 Khz, 2.4Khz, 3.6Khz, 7.0Khz, inductor based. • High Pass Filter: 18dB per octave slope, switchable between 50Hz, 80Hz & 300Hz, inductor based. (Although push button switches has been used instead of the classic rotary switch, the circuit is the same exact one found in vintage 1073s, sacrificing only one frequency choice for space issues. Real state is tight on these modules). • EQ Button: Switches the equalizer on or off. • Phase Button: Flips phase 180º. Der HA73 ELITE Mikrofonvorverstärker basiert auf dem legendären 1073 und verleiht jedem Mikrofon oder Instrument eine lebendige Klarheit und Druck. Wenn der Eingang höher angesteuert wird, entsteht der typisch gesättigte Klang, den man von klassischen Mischkonsolen kennt. Dank einer Verstärkung mit bis zu 80 dB eignet sich der HA73 für jeden Mikrofontyp von Kondensator- über dynamische bis hin zu Bändchenmikrofonen. Die handgewickelten Ein- und Ausgangsübertrager von Carnhill verleihen jeder Quelle, egal ob Mikrofon-, Line- oder auch DI-Instrumentensignal, Wärme, Fülle und Durchsetzungsvermögen. Die separaten Gain-Regler für die Ein- und Ausgänge bieten die Möglichkeit, das Signal durch die Übertrager gezielt zu färben, ohne die Ausgangsstufe zu übersteuern. Die DI-Schaltung liegt vor dem Übertrager des Mikrofoneingangs: So bleibt der spezifische Charakter eines eingespeisten Bass-DI-Signals erhalten. 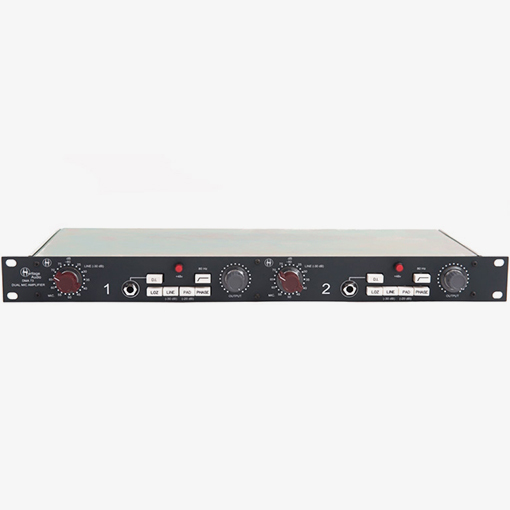 • 80dB Class A Microphone preamplifier, HI-LO selectable minimum input impedance, balanced and floating. High gain positions show a higher impedance, ideal for old ribbon mics. • 50Db Class A Line preamplifier, bridging input impedance, balanced and floating. • All discrete Class A Ultra High Impedance J-Fet Direct Input on a high quality Neutrik Jack. The DI circuit is ahead of the Mic Input transformer, so the transformer is on when in DI mode. • Class A single ended, 2N3055 driven, high headroom output stage. • Individual Neutrik gold plated XLR connectors for microphone and line inputs. • Gold Plated Neutrik XLR output. • PAD: 20dB Mic input attenuation ahead of the input transformer to avoid overloading it. • HI PASS FILTER: Active all discrete Class A 3rd order Bessel, 80Hz Hi Pass Filter. 18dB/octave slope. • OUTPUT control to allow overloading of the preamp. 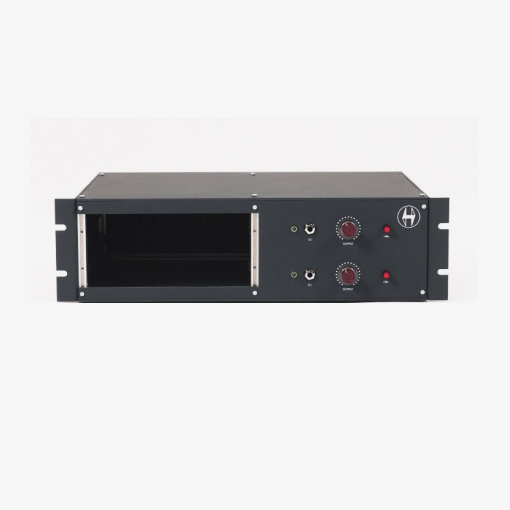 • External linear PSU to avoid electromagnetic radiation into the audio transformers ( a.k.a. hum ). • Carnhill Input and Output transformers. • 3 gain stage, genuine B283 gain card modular construction. • Marconi style knobs and vintage style engraved pushbuttons. 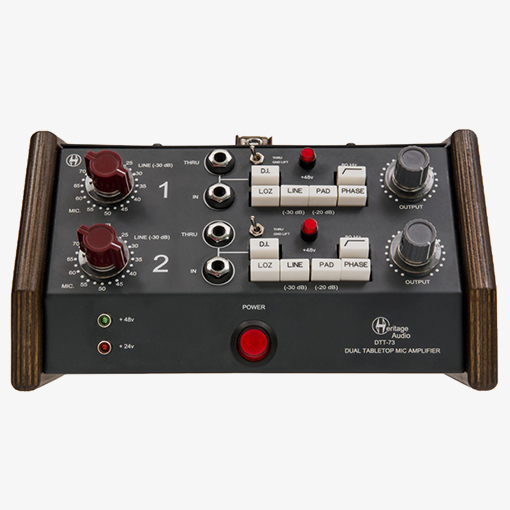 Standing for DUAL TABLETOP 73, it is in essence a reformatted DMA73.The DTT-73 brings a new flavor to the Heritage Audio line of outboard gear, widening the range of application to On Stage use, portable systems, hotel rooms, On Location recordings, etc. Now musicians are able to give 1073-driven line levels to FOH engineers, using the front panel DI inputs. While on the road they are able to record at the same studio quality level from hotel rooms, etc. Stage microphones can be brought up to line level without using long cable runs. These are just some of the possibilities. Special care has been taken with the internal worldwide power supply and no noise has been introduced. New to the range of tabletop units is the implementation of DI THRU jacks for simultaneous use of instrument amplifiers. A ground lift switch prevents any ground loops introducing hum in the audio when using these. The combination of wood and RAF blue grey steel makes the tabletop units aesthetically stand out in any professional recording environment and will bring your semi pro facility the touch of class you´re looking for. 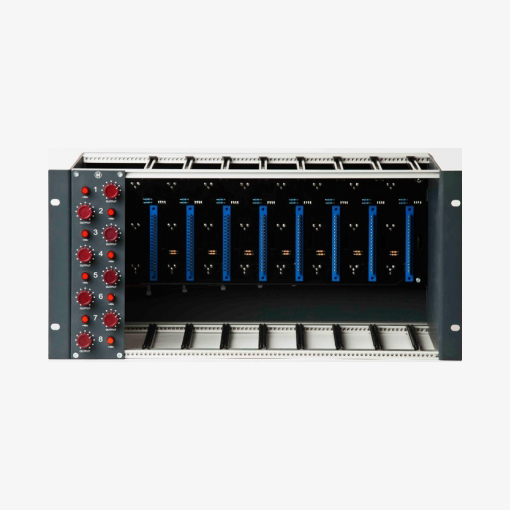 Our Frame 8 rack is handmade in the EU employing the same exact ISEP mechanical components used in the Series 80 consoles. Aluminium rails, guides, etc. This will ensure your vintage modules, as well as any of the currently made, will fit like a glove. Every channel has its own output control as well as illuminated phantom switch. Also, the Frame 8 is ready for linking up to 8 2264 compressors in 2 busses, A or B. 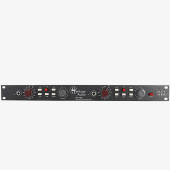 Back panel features Neutrik gold plated XLR connectors for Mic and Line inputs, as well as outputs. External Power Supply Unit is connected via Neutrik gold plated 4-pin XLRs. It is configurable for 220-240v or 110v. Power supply is included. 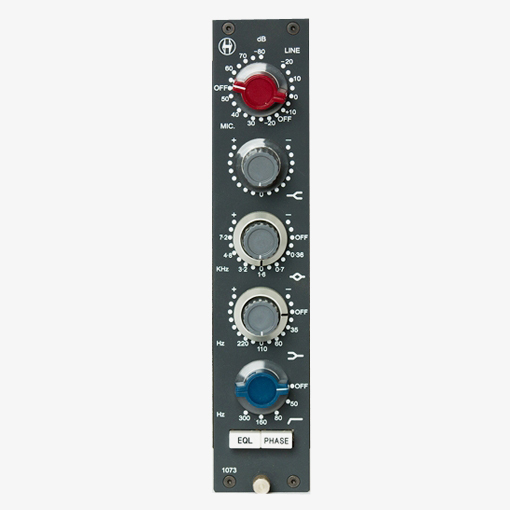 Our Rack 2 is handmade in the EU employing the same exact ISEP mechanical components used in the Series 80 consoles. Aluminium rails, guides, etc. This will ensure your vintage modules, as well as any of the currently made, will fit like a glove. Every channel has its own output control as well as illuminated phantom switch. In addition, 2 discrete class Aultra high impedance JFET Direct Inputs have been implemented, allowing for direct plugging of hi impedance instruments. Also, the Rack 2 is ready for linking up to 2 2264 compressors in 2 busses, A or B. 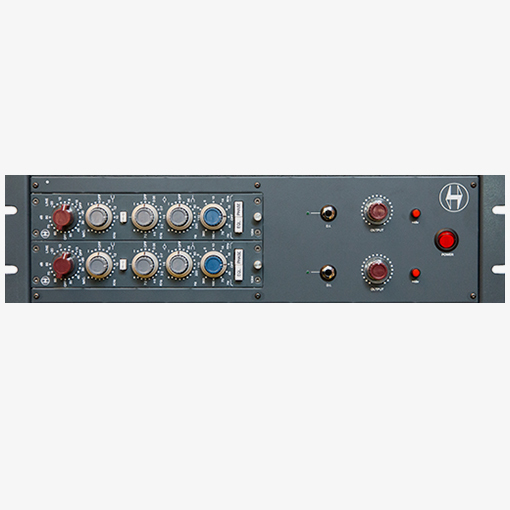 Back panel features Neutrik gold plated XLR connectors for Mic and Line inputs, as well as outputs. External Power Supply Unit is connected via Neutrik gold plated 4-pin XLRs. It is configurable for 220-240v or 110v. 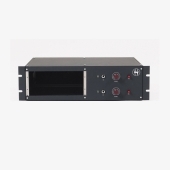 Power supply is included and able to power up to 4 Rack 2. 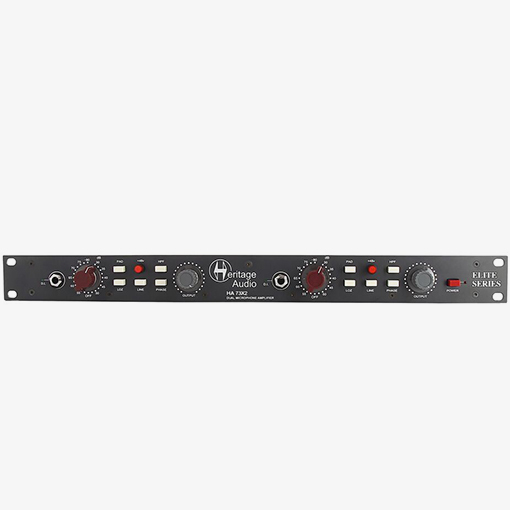 Standing for TABLETOP 73, it is in essence a reformatted single channel DMA73.The TT-73 brings a new flavor to the Heritage Audio line of outboard gear, widening the range of application to On Stage use, portable systems, hotel rooms, On Location recordings, etc. Now musicians are able to give 1073-driven line levels to FOH engineers, using the front panel DI inputs. While on the road they are able to record at the same studio quality level from hotel rooms, etc. Stage microphones can be brought up to line level without using long cable runs. These are just some of the possibilities. Special care has been taken with the internal worldwide power supply and no noise has been introduced. New to the range of tabletop units is the implementation of DI THRU jacks for simultaneous use of instrument amplifiers. A ground lift switch prevents any ground loops introducing hum in the audio when using these. The combination of wood and RAF blue grey steel makes the tabletop units aesthetically stand out in any professional recording environment and will bring your semi pro facility the touch of class you´re looking for.